Mining is a record-keeping service done through the use of computer processing power. Bitcoin is a crypto-currency and worldwide payment system that can be exchanged for other currencies, products, and services. It was created as a reward for mining. Miners keep the blockchain consistent, complete, and unalterable by repeatedly verifying and collecting newly broadcast transactions into a new group of transactions called a block. 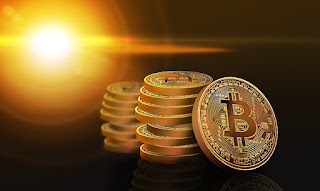 It is, therefore, important to state here that Bitcoin is the first decentralized digital currency, as the system works without a central bank or single administrator. Transactions between users are done directly, without any intermediary. However, buying Bitcoin atimes may takes a difficult process or have trust issues. And it may even be more difficult when you try to buy with your credit/debit card. But things seem to be changing as some companies have succeeded in making the process easier and instant than usual.